Spring Valley is an unincorporated community in the Las Vegas Township located two miles from the Las Vegas Strip. The community was established in 1981 and has since grown to more than 34 miles. 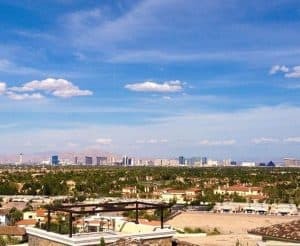 Spring Valley is located south of Summerlin and occupies much of the southwestern part of the Las Vegas Valley. It’s bound by Warm Springs Road to the south, Sahara Avenue to the north, Hualapai Way to the east and Decatur Boulevard to the west. Interstate-215 traverses through the area, which allows for an easy commute to many parts of Las Vegas. Not surprisingly, IKEA chose a corner of West Sunset Road and South Durango Drive near Interstate-215 exit in Spring Valley as a home of its first Las Vegas store. Below you’ll find the market stats and all homes available in Spring Valley sorted by price. You can also click on the tabs to see the homes currently under contract or recently sold. Wet’n’Wild Las Vegas, a family water park sits on the west edge of Spring Valley is a popular summer retreat for people from all over Las Vegas as it offers over 20 water slides and attractions for all ages. Rhodes Ranch Golf Club has been rated a 4 Star Place for playing golf by Golf Digest Magazine. Spring Valley’s parks offer countless outdoor amenities. Desert Breeze Park which incorporates a pool, community center, baseball and soccer fields, dog and picnic areas is a beloved spot for many local residents. Every given weekend the parks fields are full of soccer and baseball games happening throughout the day. Spring Valley Community Park has basketball courts and ballfields in addition to a play area. Charlie Frias Park features outdoor fitness stations, dog walking area, playgrounds, walking and picnic areas. Several strip malls are located along Spring Mountain Road which is also known for its conglomeration of Chinese and other pan-Asian businesses that constitute Chinatown. The area has about 140 restaurants that offer Chinese, Filipino, Korean and Japanese cuisine. Chengdu Taste, Raku, Cafe Sanuki and Monta Ramen are among the places that have gained popularity in recent years. Several public schools located in the area include Spring Valley High School, Durango High School, Dondero Elementary School, Kenny C. Guinn Middle School STEM Academy, CH Decker Elementary School, Grant Sawyer Middle School, Elaine Wynn Elementary School. There are lots of private schools throughout Las Vegas but Las Vegas Day School is in Spring Valley.